Good communication with staff improves morale, productivity and commitment. We know that large organisations want to increase their cleaning standards and practices, but sometimes struggle to do that because they focus too much on products rather than the most important thing in any successful business... the staff! Traditional methods of communication like messy notice boards and long emails are too easily ignored and quickly becoming outdated, with the focus shifting more towards technology as a more effective way of communication. How a company speaks to its staff is often a good indication of how they are viewed by the public. If your methods are old and outdated, that is often how you will be perceived by your customers or clientele. However, if you align yourself with innovative companies who share your core beliefs like Wray Bros and invest in systems designed to empower staff, then the benefits are tantamount. 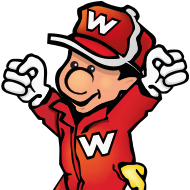 Staff feel cared for, it boosts their morale, which means less sick days and complaints to deal with and ultimately improved cleaning standards. When they can access information quickly and easily, with bespoke product usage guides, simple visuals and quick videos, they can just get on with their job! Happy Staff Equal Happy Customers! The Wisdom Box helps creates a modern working culture of consideration. Forward thinking organisations that qualify for the Wisdom Box see communication with staff not as an event, but an on-going dialogue to help them do the best job they possibly can. 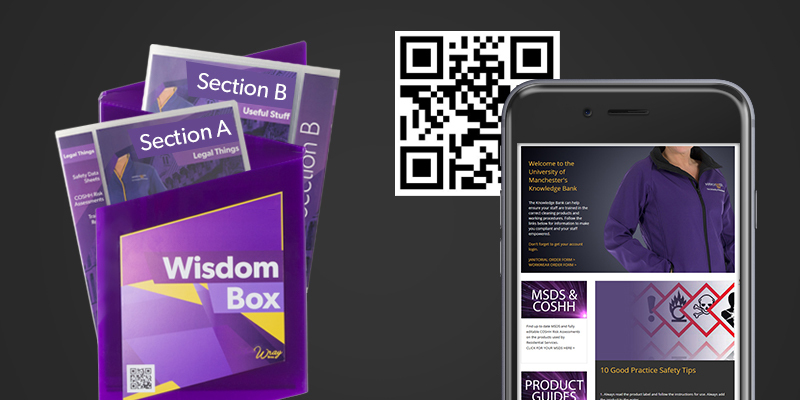 Traditional thinking would mean work standards never change, but with our constant updates of regulations and new helpful content in a number of formats, you can be sure that the Wisdom Box is the wise way to communicate with staff!